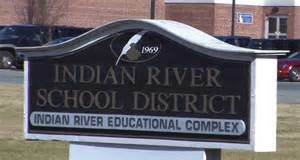 This past Thursday, March 2nd, the Indian River School District was able to get their current expense referendum passed, all be it, on the second try. The final, unofficial totals were 7,095 votes for and 5,394 votes against. This is being touted as a record turnout for any referendum in the history of the district. Leading up to this second try at passage, there was a lot of talk about why people should vote against the tax increase being asked for by the District administration. There was less talk about why people should vote for it, since the bottom line, was the bottom line. There was really no question the IRSD had seen an unusual increase in enrollment, and with such an increase in enrollment, it is hard to argue that cost don’t naturally go up. This was the reason IRSD was forced to ask for a tax increase, an increase which they admit having won, will leave them still running behind growth. There were really only three major issues being discussed by those who opposed the increase. Of course the cost to the tax payer was on the list, but anytime a tax increase is discussed, there are people who can’t really afford it, and of course there are also the people who simply oppose all increases whether they are warranted or not. So this argument is an old and familiar one, and one which should be considered, but must be taken with a grain of salt since many cry poor mouth out of habit. One refrain oft heard during the debates over the tax increase, was the number of so-called “illegals” who had moved into the IRSD. The argument was, if these “illegals” were not here, then the district would not need the tax increase. This is like saying, “if it weren’t for the sun coming up every morning, I wouldn’t need sun glasses”. Both are currently our reality, the sun will come up tomorrow, and we do have a large immigrant population in Sussex County, be they legal or illegal, and we as a society have a responsibility to educate, what will likely be, the future of our community. Sorry to all the “brown people” haters, it’s a fact of life. Some went so far as to say, once President Trump builds his wall, and starts deporting people, we won’t have so many of “those people” here, and so voters should vote no, since once “those people” are gone, the district won’t need as much money. The third issue being talked about as reason to vote no on the tax increase, was the recent discovery of alleged financial misappropriations of funds, on the part of the former IRSD Chief Financial Officer, Patrick Miller, who had been allowed to run the finances of the District with what seems to have been absolutely no oversight by the school board, or the Superintendent. The citizens of the IRSD are upset, and rightly so, since after the Delaware State Auditor’s office uncovered the misappropriations of the district’s funds, there has been no ramifications for the acts. Mr. Miller simply walked away from the job, and as of now, there has been no charges levied, and no talk of restitution to the District. Beyond that, the District Superintendent at the time, Susan S. Bunting, was nominated by newly elected Governor John Carney to be the new Delaware Secretary of Education. So the person directly responsible gives a, “my bad” , and walks away like a boss, and the person in charge of oversight of the District, gets a cushy promotion to a cabinet level job, where she will be in charge of, wait for it, that’s right, oversight of the entire state department of education. I’ll just let that hang there for a moment. There was a lot of talk about voting no to send a message. To send the message the voters were tired of paying to educate “illegals”. To send a message that there must be repercussions for the money that some considered stolen from the tax payers. Leading up to the vote I wrote a post in which I made the case to vote yes for the increase. Again because there is no denying the facts that the district’s enrollment has exploded, and with that, the cost of keeping the lights on. I also said this was not the time to send either of those messages, since voting no on this referendum would not change the number of so-called “illegals”, in the district, and if you really thought it would punish “those people”, you had to recognize it would also punish the legal citizens of the district. As for voting no to send a message about the corruption in the district administration, and the lack of oversight, and the fact no one has been held accountable? Well if anyone can tell me how voting no on this referendum would have affected even one of the people involved, I am waiting to hear it. Now it’s time for the citizens of the district to get involved and get ready to actually send a message. As for the immigrant issue, not really sure there is anything which can be done at the school district level. I still believe if these children are here, we as a society have a responsibility to educate them. Educate, or incarcerate. There is a cost to tax payers either way. However, on the issue of the corruption and the incompetence on the part of the IRSD Administration? Oh there is definitely something that can be done about that, which will send a message to all school boards around the state, and even to other elected officials. It’s called accountability. So many people think because they don’t have children in school, there is no need for them to be informed and involved. They don’t go to school board meetings, they most likely don’t even know who the board members are, and most likely didn’t vote in the board elections. They are not involved in the PTO, because they don’t have children in the schools. But let there be a referendum called. Then they wake up from their five-year nap, and suddenly they want to cry foul. That taxes are too high, that the wrong people are being educated, that there is corruption and waste of tax payer dollars. And what do they base their opinions on? Well here is my opinion, and my advice to IRSD citizens. Get informed, and get involved. Go to meetings. Contact board members. Because when the next school board elections come up, you should vote every person who was setting on the board at the time of the misappropriations of funds out of those positions. Some might find it ironic, that it just so happens, there is not a single member up for re-election this year on the IRSD Board, and it seems as though the acting Superintendent, Mark L. Steele has earned a permanent position by guiding the referendum to a successful outcome. Personally, and I don’t live in the IRSD, but personally, I would look to remove every current member as they come up for re-election, and I am sorry, but Mr. Steele was working under the previous Superintendent Susan Bunting, and I would not be comfortable promoting him to that position. So you see, it will be a process to send a real message, a message which will have the intended affect. It will mean staying engaged for over three years, to build a group of people willing to vote for change, and not vote for the really nice person they see in the local stores. And to find candidates who will take on the challenges. This message should be heard around the state, that if you are incompetent in your position, if you fail to do your due diligence, you don’t get to just give a, “my bad”, and then either go on as if nothing happened, or get some cushy promotion. By the way, all the citizens of the state of Delaware should be calling and messaging Governor Carney and demanding he replace Susan Bunting as Secretary of Education. Her placement in such a high level position following so closely on the heals of her completely dropping the ball in the IRSD, send the wrong message to the citizens, and even the children of the state. 23 Comments on "IRSD, Now What?" Your socialist side is showing here, Frank! Why on earth would you think that we have a responsibility to do ANYTHING for an illegal immigrant? I have no issue with helping members of the community who are here legally, regardless of their origin. But illegals are exactly that – ILLEGAL! They are not entitled to anything from us – rights, benefits, whatever. Some, like yourself, may CHOOSE to help them, but we as a community are not responsible for providing them with anything. This does not make those who share this opinion “brown haters”, just folks who apply common sense in determining their view. With that being said, I completely agree with you on your other points. The cost to the taxpayer will always be at issue, so while concerns are valid, it’s not the major factor here. The misappropriation of funds is the key. I don’t live in the IRSD either, but I believe you are spot on in your suggestion to send a message at future SB elections. And I say this knowing that I have a couple of friends on that board. I hate to see this happen to them, but they each had a responsibility for oversight even if they did not individually misappropriate funds. Actions (or lack thereof) have consequences, and none of these people should be returned to office. Although many of the parents of the children now in our public school system are here illegally. Their children that were born here are u.s. citizens just as you and I are. That is the right of birth to anyone born on u.s. soil, unless they choose to opt for dual citizenship, or decline u.s. citizenship and choose the country of origin of their parents. The second option most commonly applied by visiting diplomats and attache’. So you see there are no illegals that were born here in our schools system. No flag…I am speaking only of illegals. Are you actually suggesting that every immigrant child in our system was born here and did not come here illegally with their parents? Again…no issue with legals, which would include those you cite, Waterpirate. But the illegals do not have the rights of citizens, nor are the citizens responsible for any aspect of their welfare. That is all well and good from a moralistic and/or spiritual view, and I can commend any that CHOOSE to follow it. However, we are speaking about what we are REQUIRED by law to do. If an individual is here illegally, they are not entitled to ANYTHING from our country and we have no responsibility to provide it. They are not citizens, they have broken the law, and continue to do so daily by remaining here illegally. We do not owe them food, and education, a job, a home, or anything else. Linda, when I say we have a responsibility as a society to educate what is likely to be our future, it has nothing to do with a legal requirement. These children are here, and unless you truly believe President trump will actually be able to round up and deport twenty-five million people, they will become adults here. Do you wish to have millions of uneducated adults within our society in ten years? And that is not a socialist side showing, it is a capitalistic view point. The socialist would just expect to care for all, the capitalist would see educating these children as building a future educated and qualified workforce. What you suggest will lead to more people who are unqualified for even the simplest of jobs, and so will likely end up on welfare. So which is the socialist side? And Water Pirate is exactly right, as of right now, the children born here are considered U.S. citizens, and so are entitled to all of the benefits as you and I. Their parents may have broken the law, and if we deport the parents, what of the children? Since the children are U.S. citizens they cannot simply go back to their parent’s country of origin. So deport the parents and now we have a nation orphans, and in your world, uneducated orphans. Linda you said, “Again…no issue with legal”. So what would Linda do? Vote no to keep from giving the “illegals” a free education? Or just ban those you think are illegals? Or demand proof of citizenship and then kick those out? Vote no and you punish all. legal and illegal. Ban those you think are illegal, and how? Based on skin color? Demand proof of citizenship? Guess what, I would bet most of the suspected illegals in IRSD, the children I mean, have U.S. Birth certificates. Now what? Well how often have I heard that the Founding Fathers created our system of government based on the Christian faith? So it is a moralistic question, and our system is suited to deal with it as such. if you look to our founding Document, the Declaration of Independence, it says, “We hold these truths to be self-evident, that all men are created equal, that they are endowed by their Creator with certain unalienable Rights, that among these are Life, Liberty and the pursuit of Happiness.–That to secure these rights, Governments are instituted among Men, deriving their just powers from the consent of the governed,”. Notice it says “all men”, not just Americans, not just Christians, but all men. And the fact these people have come here to live, they have placed themselves under the governance of the U.S.. Everyday we apply our laws to people who are termed illegals. So if we apply our laws, we must certainly apply our protections. This means they do have the same unalienable rights as you and I. When they are arrested they are read their rights. They have the right to trial, and representation. If we deprive them of these rights, we set the stage to have our right deprived as well. We agree we need reform. But I believe we need reform in the way workers can migrate back and forth for work. The reason many stay is because it is too costly and dangerous to go home and come back. So instead of migrating, they immigrate. Do you think that taxpayers that “are not entitled to ANYTHING” should be paying taxes ? Maybe we should look to Reagan for the answer? And what happens when you legalize these people? They become citizens and pay taxes, but also they can now demand more in wages, so they no longer drive wages down, also, more wages, more tax revenue. I don’t think you would call Reagan a socialist would you Linda? Notice there is no mention of leaving and coming back, which would cause families to lose so much they had acquired. if it’s not about hating “brown people”, then the immigration act of 1986 is still a good alternative. And we republicans love fines as revenue, just ask Rep. Smyk. Delacrat raises my other point of discussion. These undocumented/illegals are paying taxes based on phony documents and ss numbers. The monies they pay in will never be paid back out to them or their dependents. The feds will take monies under any circumstance, but they only pay out after a extensive verification process. 8 U.S.C. § 1401(a)—a baby born on American soil to a (1) foreign ambassador, (2) head of state, or (3) foreign military prisoner is not an American citizen. Since a statute cannot supercede the constitution, obviously the Congress- and the president who signed the bill into law– did not believe the “…born…in the United States..” clause to be sacrosanct, thanks to the “jurisdiction” caveat. While a new law cannot be retroactive (but could be enacted under the 8 USC 1401 precident), who knows how the Supreme Court- a conservative Supreme Court- would interpret the “jurisdiction thereof” question? The only people debating the meaning of the phrase “and subject to the jurisdiction thereof” are the fringe on Breitbart. They think they can attach whatever meaning they want in order to satisfy their ideological prejudices. All we owe illegals is a pass for the people who hire and exploit them for cheap labor. Never a word against those people who bring illegals here for cheap labor. Why is that lol?. You people are so obvious. It’s all about hating the Hispanics. No concern about white illegals from Europe or the flood of H1B visas that take jobs. And if you people are so resentful about the abuse of tax dollars, why not protest the parasitic 1% cabals who are so stingy that they hide trillions in overseas tax havens to avoid the small amount of tax they would have to pay? It’s because you people are immoral and admire the robber barons and resent their slaves! Actually I have considered the “subject to the jurisdiction thereof” clause myself. To be honest I have not researched or thought it through well enough to put it together completely, but my thought is, when people come to this country, they have decided to “subject” themselves to the authority and jurisdiction of this nation and state. Therefore if they are living here and are not breaking the laws and paying taxes, then they might. E considered citizens. Which. Rings me back to the amnesty of 86. @Mouse: I’ve been wondering about the estimated 50,000 Irish nationals who have overstayed their visas and are working here illegally. Will Trump come looking for them? I think I know the answer to that one. The only people debating the meaning of the phrase “and subject to the jurisdiction thereof” are the fringe on Breitbart. Obviously, you haven’t thought your position through. If the Congress can make exceptions like “foreign ambassador,” then why can’t they except Mexican gardeners, Nicaraguan laborers or El Salvadorian waiters? “All persons” obviously don’t include everyone- according to Breitbart or US code. What I find offensive is our tolerance of law breakers. I have been on foreign soil. Each time I was admitted I was clearly warned and cautioned about the consequences of taking monies for work without the appropriate documents. Our model of law enforcement seems a bit different? Rick once again runs smack into the point. Legal status is just that, legal status, and can be changed on a whim. Which brings us back to the amnesty of 86. Tell me Rick, what would actually serve this nation more? Making millions of people legal citizens, who then could participate in our freedoms more freely and legally? Or spending millions, no billions trying to deport them? This nation has prospered following almost every immigration boom, except this one, because we force them to be illegal. Change the law, and you change the status, and you change the game. Also Rick you may want to rethink your point about the 14th. If applied to the 1st Amendment, since we have laws prohibiting the private ownership of bazookas, why can’t we have laws prohibiting the private ownership of handguns? Two conditions must be met in order for citizenship to be extended under the 14 Amendment. The second condition states that citizenship will be granted if the person is “subject to the jurisdiction” of the US. Babies born in the US of parents who are diplomats are not given citizenship precisely because they are not under the authority of the US. It’s called diplomatic immunity. I agree with waterpirate that anyone working in the US should be doing so legally. I have a problem with mass deportation of 11 million workers without a plan for a great number of them to be made legal. Not a path to citizenship. Just legal. Until a plan is put in place, who is going to be doing the work that illegals were doing before mass deportataion? Strawberries won’t be picked, chickens won’t be plucked, cows won’t be milked. Or maybe the Republicans’ plan is that po’ blacks will pick up the slack when their welfare checks stop. Is that it? …why can’t we have laws prohibiting the private ownership of handguns? We can, based upon the fatuous “militia means National Guard” argument. But good luck enforcing it. …what would actually serve this nation more? Making millions of people legal citizens, who then could participate in our freedoms more freely and legally? Or spending millions, no billions trying to deport them? Trump is in the process of deporting criminal aliens. I would imagine that a path to citizenship is inevitable. Babies born in the US of parents who are diplomats are not given citizenship precisely because they are not under the authority of the US. And I could use the same argument about babies of illegal aliens who are citizens of Guatemala etc. Hi there, all the time i used to check weblog posts here early in the dawn, for the reason that i love to learn more and more.